Material handling equipment is vital to maintaining a safe, efficient, and profitable manufacturing facility. Knowing what it's all about is a step in the right direction to understanding why it's so important to manufacturers. Material Handling refers to the movement, storage, control and protection of materials, goods or products throughout the process of manufacturing, distribution, consumption or disposal. Simply put, positioning equipment places material in the correct position for handling, installation, storage, transport or machining. Although material, products, and goods can be positioned manually, the Bureau of Labor recommends using the NIOSH Lifting Equation to avoid employee back injuries. For a quick guideline you can refer to the US Department of Labor OSHA recommendation to "Limit weight you lift to no more than 50 pounds. When lifting loads heavier than 50 pounds, use two or more people to lift the load." To avoid employee injury its a good idea to consider some different types of positioning equipment. Custom material handling solutions can prove to be cost effective in areas such as safety and ergonomics. Avoiding employee injuries is not only good for employees but its good for a manufacturer's bottom line. Employee injuries lead to increased overhead in the areas of workers' compensation, insurance costs, employee moral, OSHA fines, and more. When you add up all the risks the cost of custom equipment pales in comparison. Custom equipment is almost always the safest & most cost effective way to go when improving worker safety, because material handling equipment is much more accurate and materials often weigh more than the recommended limits. 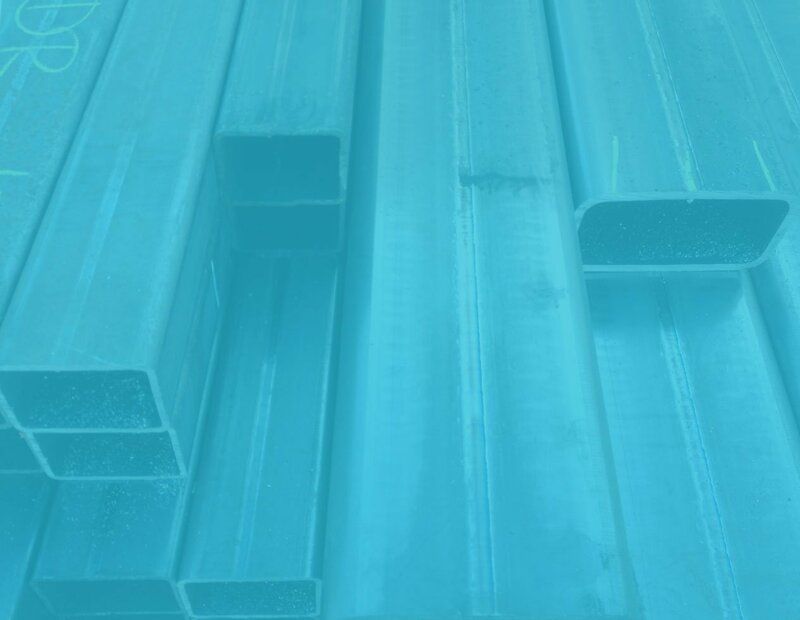 In many instances manufacturers have no choice but to choose custom solutions, for example when your facility has unique needs and requirements. 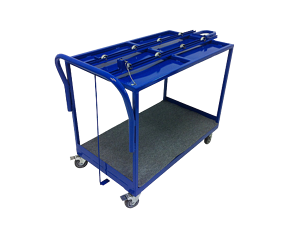 In the case of the positioning equipment pictured below the manufacturer needed a cart designed to meet the specific task of "safely transporting 60 lbs. of laboratory specimens to an industrial autoclave machine at 36-1/2" high". 1. Skate wheels allowed the technician to load the heavy laboratory specimens onto the cart. 2. A pull-pin locked the specimens into place for transport. 3. 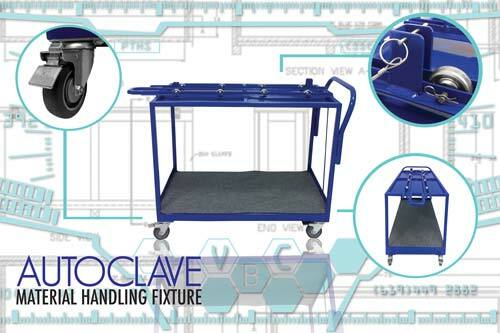 Swiveling casters and a handle allowed the technician to transport the cart to the autoclave machine. 4. A protruding steel weldment on the the front of the cart aligned with the autoclave's internal rails to ensure a safe transfer. 5. A push/pull rod was used to ergonomically retrieve specimens from the autoclave without the technician straining and overreaching.